4 Bedroom Detached House For Sale in Middlesbrough for Offers Over £280,000. 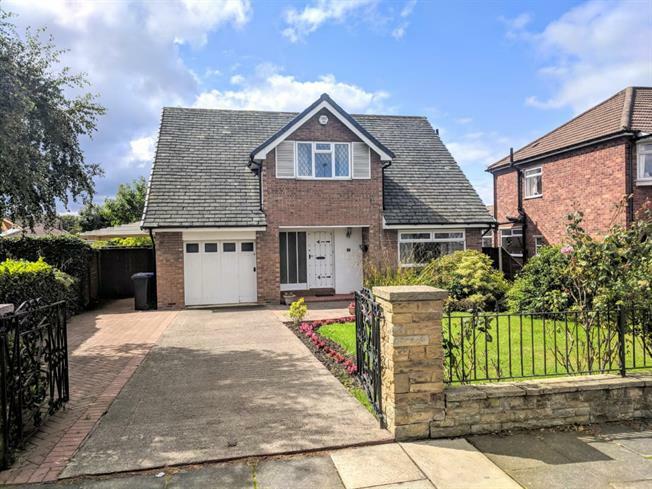 Bridgfords are delighted to offer to the market this excellent opportunity to own a beautiful home with immense potential on a substantial plot in the heart of Acklam. This home has endless amounts of character and charm and unrivalled size and stature. Upon entry from the large hallway you will find a large open plan lounge and dining area both with doors leading out to the beautiful and private rear garden. The ground floor also has an attractive bathroom suite and fitted shower, spacious bedroom and a large kitchen that leads onto the conservatory. The first floor again has lots of space and storage on offer and has three further double bedrooms and a beautiful shower room. Externally the property has large gardens to the front and rear and excellent parking facilities with an enclosed driveway and garage. This property simply must be viewed to appreciate this amazing opportunity. Please call the sole agents Bridgfords on 01642 227 827.